We believe you should be able to get help when you need it! We offer many ways to get in touch with us and look forward to helping you finish your DIY garage door project like it was our own. Whether you have questions about our parts such as our torsion springs, cables, or brackets, or our procedures; we would love to answer your questions. 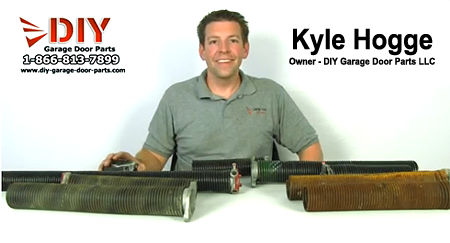 After all, when you buy from DIY Garage Door Parts, you become part of the family! You can also view many informative “DIY garage door” videos on our YouTube! Have Questions about a Spring Size, Product, or Order? Phone: 1-866-813-7899 We welcome your phone calls Monday-Saturday 9am-5pm. IMPORTANT! – We Ship Daily. Orders placed before 11AM EST Mon-Fri go out normally the same day . . . and the next business day on orders placed after 11AM EST.